That is a totally cool postcard. I enjoyed reading your post today--thank you for sharing! Happy PFF! So, did I understand correctly...Umakaeshi translates into an entire sentence? 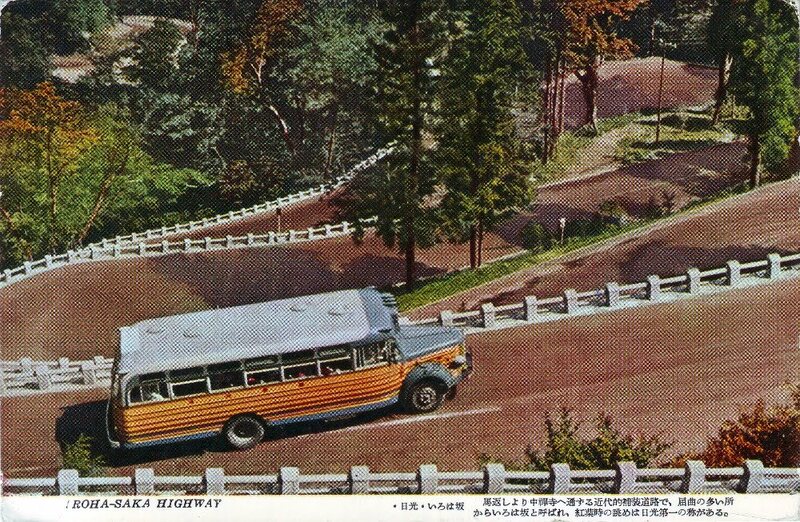 I love old Japanese postcards. I have a lot of them. They're beautiful, but I don't usually post them because I often don't have a clue what they are. Thank you for letting me know about Annee! How funny is THAT?! Thanks for letting me know. I lived in Japan from 55-57, so it is fun to see something that may have been current then. 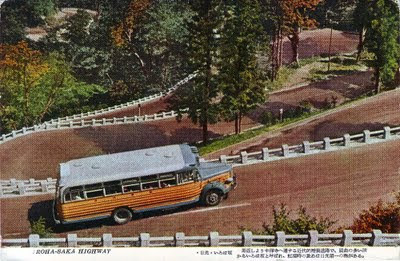 I never see old Japanese postcards. The bus looks a lot like our school buses which haven't really changed much in the last 50 years. I spent just over a week in Tokyo in September of 1970. I didn't purchase any postcards, and probably should have! I don't believe I've ever seen vintage Japanese cards though I'll admit I've never really looked. I'm told postcards aren't especially popular in Japan and not so easy to find, though I've no idea how true that is. very interesting card. I love the way "I-ro-ha" sounds so exotic but means something as simple as "a,b,c". How interesting, a Japanese postcard in Italy.